Outdoor kitchens are becoming a rapid trend with the wide range of appliances and plans to suit every budget. Who doesn’t enjoy the aroma of a braai? The best part is – your outdoor kitchen can be as simple or as elaborate as you want it, depending on how much you want to spend and your imagination! Setting up your kitchen outdoors can cost you just a few Thousand Rand’s if you are happy with a quality braai and grill with a storage cabinet and counter-top or much more for a full kitchen with a grill, a dining area, a fridge and a sink. In any case, you will never regret your decision to go for that kitchen out on your patio or deck where you can spend time with family or entertain friends. The type of kitchen you want will depend on your needs. Think about how frequently you intend to barbecue. How often do you want to eat outdoors? How much space have you got? Common materials used for the outdoor kitchen counter-tops are granite, stainless steel, brick, stone, stucco, tiled etc. 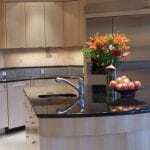 If you enjoy a dry climate, you might consider using wooden cabinetry. Your grill will probably be equipped with adequate burners, a warming shelf, smoker, and other accessories. You would need to get the lighting in place so that the main areas are well lit for safety. Track lights are a good idea for a bright cooking area. Remember to plan for lighting the pathways leading to the kitchen. 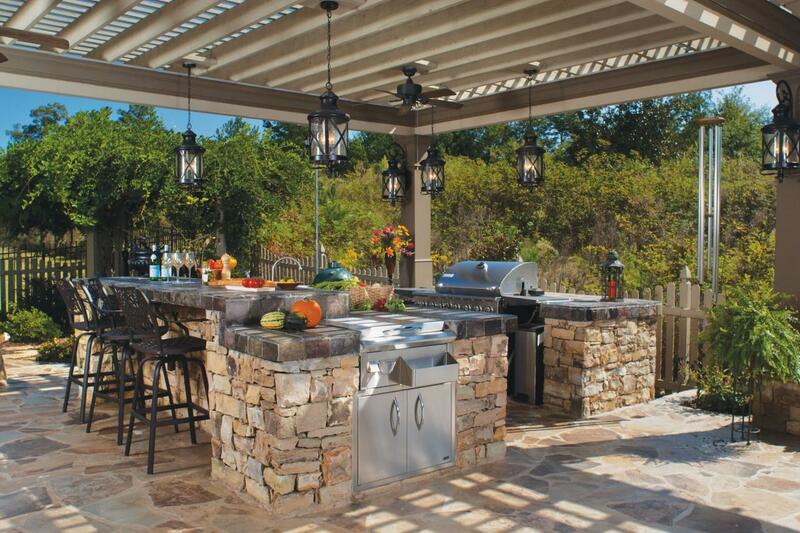 Usually setting up the outdoor kitchen is done on an existing patio or deck or around the pool area since it is much easier to gain access to the house, as well as amenities like gas, electricity and plumbing. Durability of appliances is something you want to look at since it is for outdoor use. The main thing about designing your kitchen outdoors is the placement of the grill. It should be positioned in such a way that while cooking, the smoke should not blow straight into the faces of your family or guests. 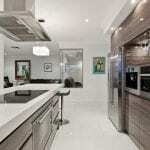 The cook must have easy access to the sink, countertop and refrigerator and outdoor kitchen cabinets. Of course, the colour scheme must match the décor of the rest of your home. Outdoor kitchen cabinets are the perfect solution to storage for an outdoor kitchen. Not only can these cabinets put everything within your reach, bringing you convenience, but also make your outdoor kitchen look stylish and attractive. 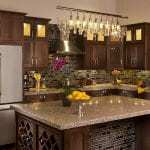 You can buy your outdoor kitchen cabinets in different styles and materials depending on your budget. Outdoor cabinets must be durable and able to withstand the elements, staying strong and sturdy. The main thing is to find the right style and material to suit your needs. 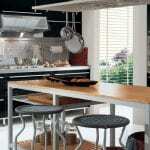 As such the process of making your selection is quite like choosing indoor kitchen cabinets. However, you need to pay a little more attention to the choice of material. The conventional favourite material for outdoor cabinets tends to be masonry or wood. Masonry cabinets are built with concrete or stucco and considered completely resistant to weather. But these have their shortcomings since concrete tends to look unfinished and crack over time. In addition, they need maintenance to ensure that dirt, mould and mildew do not settle in them. 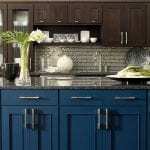 Wood cabinets are easier to order and install and are also more flexible in terms of customization. They are also good looking, but do not match up when it comes to weather resistance. Also, wood, depending on the species, and the climate in which you live, can rot, warp, expand, change colour or just weaken. You could consider stainless steel outdoor kitchen cabinets, as these are not only stylish and contemporary looking but also easy to maintain. You can just wash them clean. About the only issue is the higher initial investment, but the longer lifespan of the cabinets justifies the cost. A recent trend in outdoor kitchen cabinet material is marine grade polymer, which is waterproof, resistant to stains, is easily washable and looks great. You get a choice of colours ranging from grey to white. Depending the size and storage needs you have planned, the shape of your kitchen cabinet will also be influenced by how you will use your outdoor kitchen. You can combine single drawer, two and four drawer cabinets with single full height drawers so that your cabinet is sturdy and durable. Design your sink cabinets with double doors and plan cabinets under your grill as well to complete the look of your outdoor kitchen cabinet. You can also add extra accessories like pull out tanks and trash drawers. If your outdoor kitchen is really big, you may want to think about wall cabinets, but you have to ensure that they don’t come in the way of the smoke from the kitchen. If you already have a patio then it is easy to add the kitchen outdoors. Since it will be an extension of your living area it is only natural that you would look for the same kind of facilities. You can get the entire kitchen, complete with the appliances, cabinetry, counter-tops, lighting and other things done by an architect. You also have the option of getting a prefabricated unit that will include your grill, storage and other essential accessories. The grill island comes as a basic one, L-shaped and U-shaped. The U-shaped outdoor units with well-marked preparation and dining areas are very convenient as they put everything within reach for the cook. It is important to ensure that all electrical appliances are UL approved. Prefabricated units are quite popular as they can be customized to preferences. Some of these units feature an extra-large gas grill of stainless steel. The unit includes a rotisserie, storage, refrigerator, wine coolers, ice makers, etc. Some even have a portable fire pit and a box to hold the fuel where wood chips are used. Modern outdoor units are made of weather resistant materials that can simply be washed to clean. Trendy materials are terracotta, concrete and stone veneers, with granite, stainless steel and wood for cabinetry remaining old favourites. Ultimately, what you put together in your outdoor unit depends on specific needs and it is up to you to pick the necessary components. Apart from having the choice of adding options like a refrigerator, sink, etc. stone baked pizza ovens are becoming a hot trend. Some of the best brand names in outdoor kitchens have everything you would ever need to set up your own. Since the trend is more towards a casual living style, most people design their outdoor cooking area in a way that they can really enjoy it – whether for partying, or just relaxing with loved ones.